So, I was laughing with my friend, Jo, about TSA in Milwaukee asking if I had metal in my body as soon as the agent heard my age. “Well, I have metal in my spine, but let me tell you what happened to me a couple of weeks ago,” said Jo. “TSA (in St. Louis) said I had a hot spot on my groin!” She had to wait while a female agent was called, worrying that she and her husband would miss their flight, which was a long way from Security. “The agent asked me, ‘Do you mind if I put my hands down your waistband? '” and did, and started feeling around, way down. “No. It was so humiliating!!! What do they think a 75-year-old woman has in her groin?” said Jo. *Note: After you hit age 75, you don’t have to take your shoes off in US security lines. “I’m 75 (and two days), so I don’t have to take off my shoes, do I?” I asked the TSA woman, VERY CAREFUL to be polite. Why wasn’t I in the TSA pre-approved line anyway? I’ve been pre-approved since the program started. AND! a couple of years ago, I went through a big bother to get registered for Global Entry. The United counter didn’t know why I was rejected. It was TSA. Everything is in order, the rep at the gate said. That’s what United said last month too, in DC when I was condemned to the regular security line to fly to Denver. Why? Am I on a brown list because I went to Marrakech a couple of months ago for the annual iEARN conference? Marrakech was one of the 12 airports that Homeland Security named when it banned passengers on flights going to the US to bring laptops in their carry-ons. How long will this purgatory go on? The regular security line at noon in Milwaukee is tolerable. However, Denver can be 45 minutes of cattle-chute hell. NOTE: Lesson learned — always bring a portable battery to charge your phone when you are forced to endure the regular security lines at DEN. Just in case. PS: A few days ago, a pal at the National Geographic Retirees’ monthly lunch told me that he was kept off Pre-Check for several months after he was in Jordan. She didn’t order help. I made the flight. Wait! 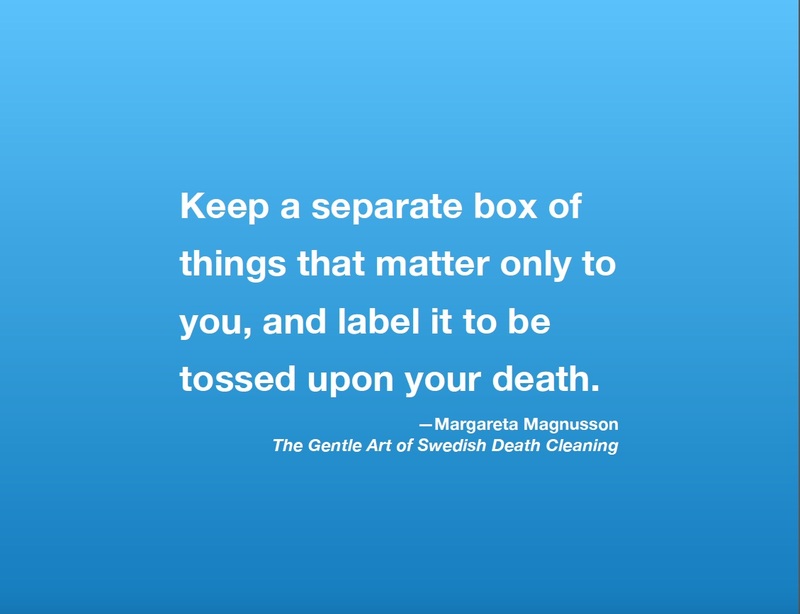 My Y75 : Project may be a chic name for what the Swedes call döstädning, or death cleaning, according to the Washington Post in a feature on Margareta Magnusson, an “80-ish artist” whose book, “The Gentle Art of Swedish Death Cleaning” will be released in the US in January. I prefer Y75. If feels more flexible to me. My goal is to not just toss away, but to reshape what was and start anew. For me, one such action is retiring from my volunteer boards of directors and advisors and instead work on short-term projects that solve problems. 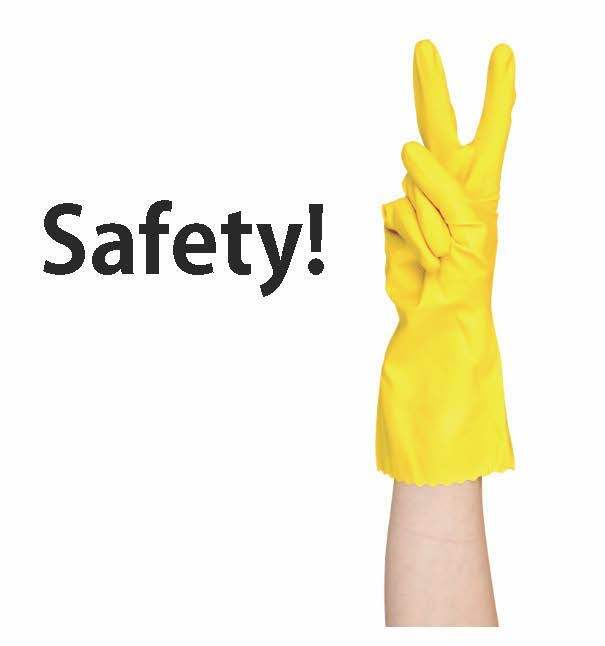 The death cleaning article has some good tips (don’t start with photos or you’ll get bogged down in memories), you don’t have to fold, you just have to do it, do it, do it. Don’t miss the encouraging, funny video that Magnusson filmed with one of her daughters. ….she [Magnusson] talks about why she decluttered and how it’s not a sad process, but more of a relief. Her daughter asks whether her mom would help her begin death cleaning. They go to a storage locker overflowing with luggage and clothes and blankets topped by a garden gnome.